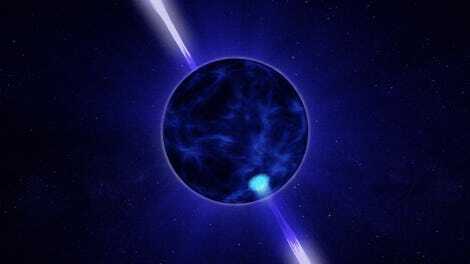 The researchers observed a rotating neutron star, a pulsar called RX J0806.4-4123, located 815 light-years away. The pulsar is one of the “magnificent seven,” the relatively slowly pulsing objects—this one pulses every 11.37 seconds—that emit bright x-rays but not radio waves, all within 3,300 light-years of Earth. 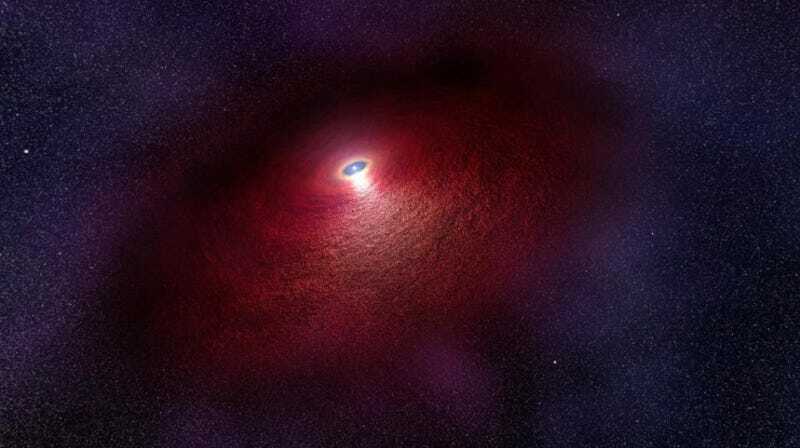 These pulsars’ bright x-rays seem to require some other energy source—perhaps large magnetic fields or dusty disks supplying matter that falls into them. These new observations of RX J0806.4-4123 revealed infrared radiation far brighter than the scientists expected. This implied to the researchers that they were looking at not just the neutron star, but the wider feature surrounding it, according to the paper published in The Astrophysical Journal. The researchers came up with two ideas to explain what they were seeing, and either possibility would be a first for astronomy. They could be seeing the first-ever resolved disk of matter surrounding a neutron star. Or, it could be the first-ever observation of a pulsar wind nebula emitting only near-infrared radiation. Pulsar wind nebulae are supernova remnants powered by the pulsar, like the famous Crab Nebula. The main differences between these two possibilities are the way they form and their shape. “Both of them are very exciting,” said Posselt. Back in 2006, another team observed a potential disk surrounding a more distant pulsar using the Spitzer Space Telescope. However, that data didn’t have the same definitive wide shape that this pulsar observation appears to have. Could this observation have any other explanations? Well, perhaps the infrared radiation came from behind the pulsar, but the team’s analysis revealed that such a coincidence would be very, very unlikely. They also excluded the possibility that they were seeing the interaction between light and the dust between the stars. The scientist who refereed the paper found the results intriguing. “It is really unexpected to find material surrounding the neutron star that can cause the infrared emission,” Martin van Kerkwijk from the University of Toronto told Gizmodo. He too wondered whether the infrared source came from something in the background. But we’ll soon know for sure, he said: If the emission is associated with the neutron star, then it will have the same motion as the neutron star across the sky. The team’s next steps are to observe the pulsar in other light wavelengths. They’ve already tried to look at it with the Earth-based Gemini optical and infrared telescope, but the source was too faint for scientists to determine the shape of the disk. If you follow astronomy, then you probably know what happens next: The researchers will need to wait for the upcoming, much-delayed James Webb Space Telescope to take flight. The JWST’s incredible precision should be able to image the shape of whatever the scientists are observing, and conclude whether it’s a disk or a nebula. This post has been updated with a comment from Martin van Kerkwijk.